Is there a better alternative to Tasty Recipes? Is Tasty Recipes really the best app in Cooking category? 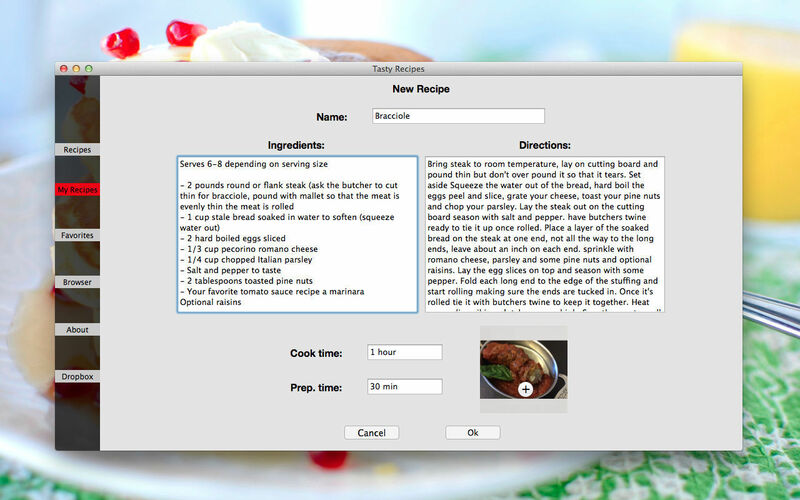 Will Tasty Recipes work good on macOS 10.13.4? Tasty Recipes will help anyone who loves to cook or to eat and just needs a little inspiration. You're going to love these delicious recipes that you can get direct on your table. Satisfy your appetite with over 800 recipes! You can now also create and manage your own recipes collection by adding the name, ingredients, directions, cook time, preparation time and the image of your recipe. Back up your recipes list to keep your collection safe! Search new recipes on the internet with the help of our browser. 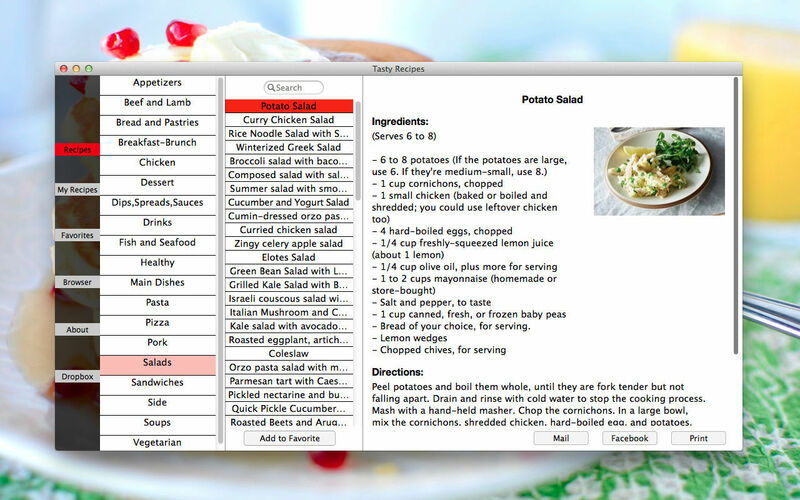 Bookmark and manage your favorite recipes! Tasty Recipes needs a review. Be the first to review this app and get the discussion started! Tasty Recipes needs a rating. Be the first to rate this app and get the discussion started! Share your recipes with friends and family through email and Facebook! Print out the current recipe! Backup and Restore option helps you keep your recipes safe! Drag & Drop support for images! Create and manage your own recipes collection! Index of all recipes by categories!